Luton continue to pursue their aim of clinching promotion from League One and they could stretch a long unbeaten sequence by beating Doncaster this weekend. 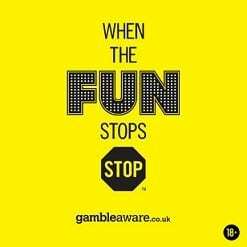 That clash features in this Saturday Accumulator alongside games involving Bury, MK Dons, Salford and Arbroath with promotion points at stake for all four teams in their respective divisions. 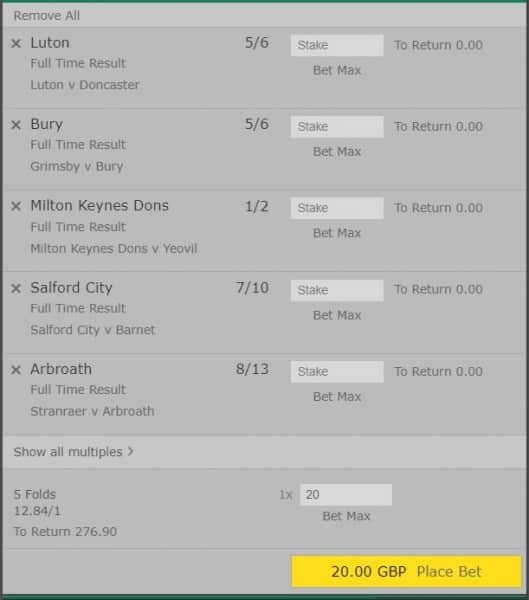 Accumulator Odds – 13/1 with bet365. Luton vs Doncaster Betting Tip – Luton win. Having drawn 0-0 with automatic promotion contenders Barnsley last Friday evening, Doncaster will be aiming to improve upon that result when facing League One leaders Luton. However, Donny are now winless in seven matches and have netted just three goals in that time. The hosts suffered a rare setback last weekend when drawing 2-2 with Gillingham at Kenilworth Road but they remain unbeaten in league action since losing 3-2 at Barnsley back in October. A fifth win in seven games on home soil is forecasted for the Hatters. Grimsby vs Bury Betting Tip – Bury win. Since winning their opening three games of February, Grimsby have suffered a decline in their fortunes with just two points earned from their last five League Two fixtures and ten goals conceded. The promotion playoff hopes of the Mariners have now virtually diminished unlike the aims of the visitors with automatic promotion still a viable target. Bury are unbeaten in league action this year with sixteen points claimed from their previous six games. A very late winner allowed Bury to win at Stevenage in their prior game and they should be capable of beating Grimsby. MK Dons vs Yeovil Betting Tip – MK Dons win. Winning a couple of League Two fixtures from late February onwards seemed to ease any relegation fears for Yeovil, but three consecutive defeats without scoring a goal have plunged the team into another poor sequence of form similar to earlier this year. The Glovers now face a visit to MK Dons with the hosts winning six of their last ten games as they seek automatic promotion. Although the Dons can be an inconsistent team at times, they have lost just three league games at Stadium MK this season against decent teams, and a home win forecasted in this contest. Salford vs Barnet Betting Tip – Salford win. A 1-0 midweek home win when playing Harrogate ensured that Barnet won just a second National League fixture this year and eased their relegation fears. Yet the Bees have a failed to win a league game on their travels since beating Dagenham 1-0 at the end of December. A visit to Salford now awaits with the hosts regaining momentum ahead of their pursuit of automatic promotion. Salford have won all four games to date this month without conceding a goal with Sutton and Solihull among their victims on home soil via 2-0 victories. Few goals are expected in this game, but the hosts should collect all three points. Stranraer vs Arbroath Betting Tip – Arbroath win. Despite leading Scottish League One by a healthy thirteen points prior to the weekend matches, there has been a sign of complacency in recent results for Arbroath. However, the Red Lichties recovered from a three-match winless sequence to beat East Fife 2-1 last weekend and they will now be aiming to clinch a first victory in three away games. Stranraer will have other ideas but they have beaten only the two bottom teams in the league this year and have failed to win at Stair Park since the beginning of December. Arbroath are likely to seal another three points. BET NOW to get the bet365 up to £100 bet credits offer.